Here’s an excerpt of a review I wrote of Helen Mirkil’s new book, Sower on the Cliffs. 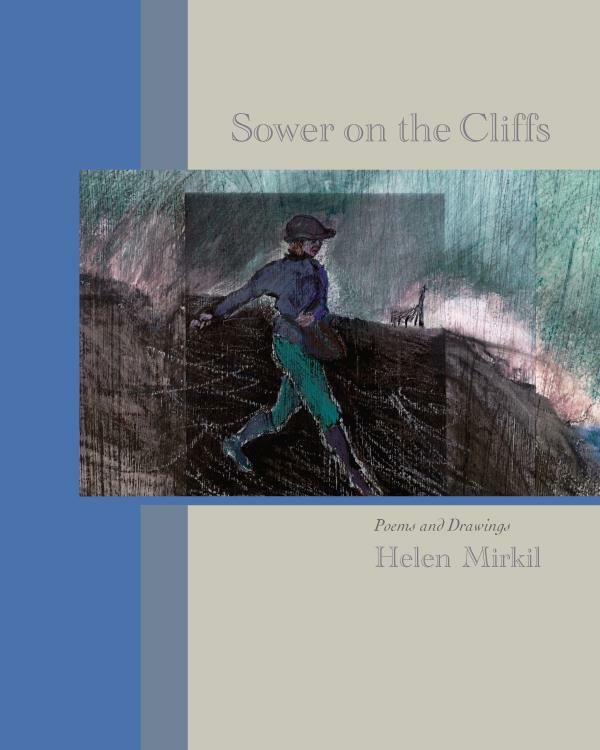 Sower on the Cliffs, Helen Mirkil’s book of poems and original sketches, works on the reader like one of those evening conversations over coffee where catching up with a friend has gone on for hours, yet when it’s time to call it a night, you feel like you’ve just gotten started. That’s because Mirkil’s use of language, mostly direct, gives you a sense of a door opening up before you. The book is divided into 10 sections, each with only two to four poems bound to a theme. Many of them are family focused, some touch on losses, issues of faith and some tender moments with loved ones. Mirkil leads each section with one of her own sketches. Like the sketches, black ink outlines, shapes and suggestions of shapes, Mirkil’s poems also follow the less-is-more approach, and that approach yields rewards as well as surprises at times. In poems like “The Station” and “Pressing In,” she offers a few details that act like an invitation for the reader to start making discoveries. Read the rest of the review here at Philadelphia Stories. From Get a Real Degree by Elif Batuman at The London Review of Books.